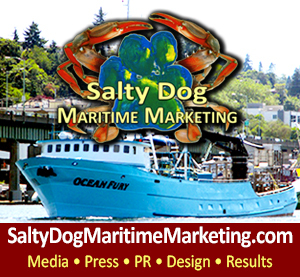 Trawler Fest, Anacortes WA, San Juan Islands – Northwest Dockside Activity! 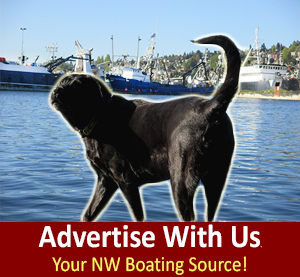 Great Events, Parties, Boating & friendly fun faces! 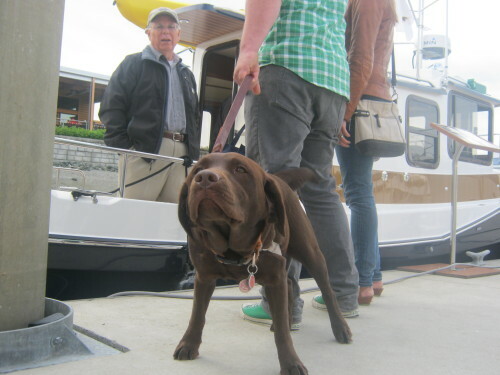 Trawler Fest Anacortes, Presented by: Passagemaker Magazine – On the docks at Trawler Fest at times you may see more dogs than people! This year should be the record number of people who came by boat! Trawler Fest takes a new exciting angle ‘It’s not just a boat show – it’s a Rendezvous!’ This year even more boat owners are encouraged to come by boat. 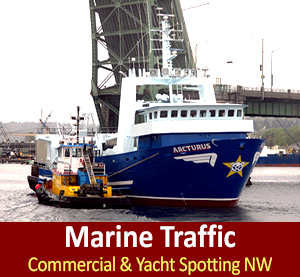 It makes for a lot of fun boat hopping and good times getting to know new slip neighbors – from all over the world. Trawler Fest has a world-wide reach of adventurous circumnavigating fearless cruisers who are worth their salt! Depending on which yacht broker you speak to – you may get a variety of opinions and perspective of the show and out-come. For the most part brokers seemed happy; there certainly were ‘lively people on the docks – who came to buy that certain – Trawler – at Trawler Fest.‘ A common theme with a lot of boat buys at Trawler Fest is; most are self-made and tend to be cash buyers – they know exactly what they want and what boat they plan to get into.’ Making the Trawler purchase move right along to a happy closing and convenient opportunity for the new owner to take position and be on their way to joyful, relaxing cruising with friends and family. Trawler Fest Announces the DeFever – The People’s Choice Award Winner! 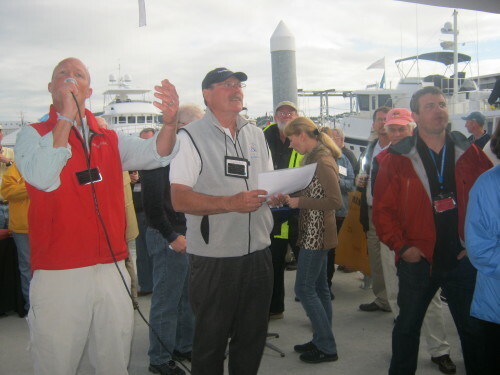 Congratulations to DeFever for winning this year’s ‘People’s Choice Award’ from 2013 Trawler Fest – there was buzz and chatter around the docks about the Defever’s this year. 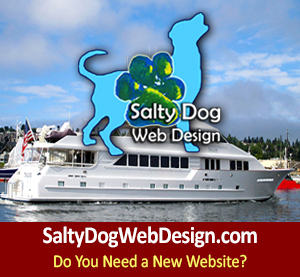 A lot of folks commented on the roomy layout and specious accommodations; especially for the empty nesters who have children now grandchildren that need comfortable accommodations when visiting during cruising expeditions and excursion’s with the grandparents. Another boat with a lot of dockside chatter in 2013 – was the Fleming 65’ – known for its whisper quite, smooth ride thanks to the utilization of Seatorque’s enclosed shaft systems. Next time you’re at Trawler Fest ask Tony Fleming about his boats; he will bend your ear to education you on the finest construction materials and methods. His track record and sea time speaks loud and clear for why and how he has such specific knowledge and builders intuition. Tony’s – Venture I & II, have collectively cruised over 30,000 miles and have served as test beds for evaluating new machinery and equipment with the latest and greatest technology. For instance the Fleming 65’ models have been enhanced and beneficial toward his intrepid voyaging now including standard features such as – Boning Systems Monitor with 15” touch screen, Seatorque Encloses Shaft System, Hypro Fly-by-Wire Steering, LED Lighting and much more…. Owner’s have great cruising flexibility, the 65’ cruises gently at 9 or 10 knots and equally comfortable in the mid-teens. 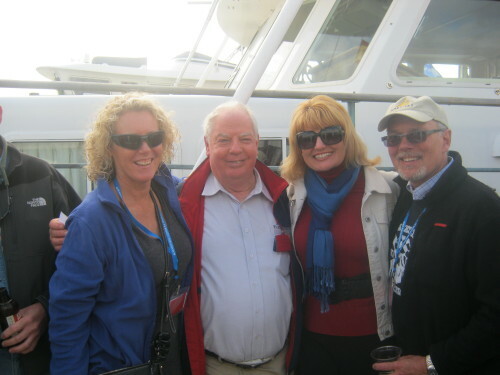 Thumbs Up – Trawler Fest Team, we enjoyed this years land and water layout! 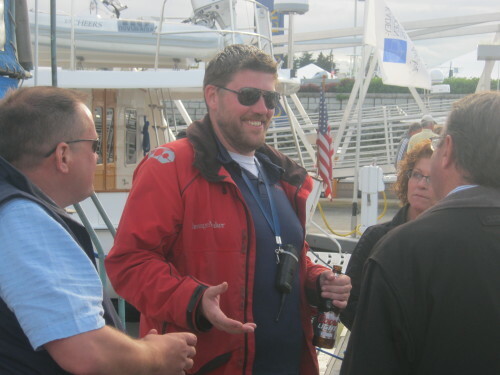 Thank you Trawler Fest staff and team for your thoughtful new idea’s – time and hard work putting together another great Anacortes Trawler Fest! The New Party Barges made for many exciting new dockside memories!